Websites, Web Applications, Mobile Applications and Wordpress Development by Blaine Korte, BK IT & Web Services in Saskatoon, Saskatchewan. Together, let's build websites and apps that solve your organization's problems. Let’s generate more sales leads, launch your new product lines, automate repetitive tasks that eat up precious time, and modernize your cumbersome processes. 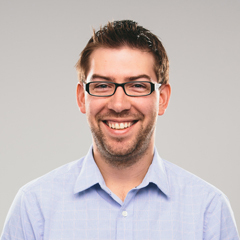 For more than a decade, Blaine Korte has been designing and developing websites and web applications. My benefit is clear – experience has taught me how to get to the core problem. The best website solves a problem: for a business, generate the right kind of sales leads or showcases products properly, for a charity raise awareness. The best web application enables staff to spend time doing their job, not waste time entering data. I'm an expert at both boiling ideas down into their problems and creating create websites and web applications that solve those problems. What kinds of problems can I solve for you? Throughout the process Blaine was a pleasure to work with – calm under pressure, relentless in striving for the optimum user experience and a gifted troubleshooter who could find solutions to problems even when we could not articulate them clearly. More than just a plan, our strategies include contingencies, expect adaptations and changes, and most of all contain flexibility. At the root of every project is one or a set of problems that need solving – a website is needed to help promote products, or a business is growing and is being drowned in repetitive paperwork – our job is to distill your project down to it’s core problems, and then deliver a solution to that problem. Once a problem is well defined, we deliver a plan of attack: set of recommendations of solutions, their budgets, and strategies to bring them to fruition – on time. Design is more than just making things pretty, it’s about the fusion of user experience and business goals. Oh, it’s pretty too. Design is often conflated with appearance, but it’s much more. When we design a website, application or component, we’re always thinking of how it’s used and how the use relates to the goals of the project. Does your home page prove your expertise? Are customers expected click on that button? Is there a simpler way of doing this? Lucky for you, combining the right functionality, business goals, and aesthetics is what we do best! Using the right tools for the job, we create lasting, battle-tested projects that are fast, and are delivered on time and on budget. The best programming work is invisible – works flawlessly, performs fast, and is simple to maintain and upgrade. Of course, that's easier said than done. But we've been programming for more than 12 years. Being both experienced designers and programmers has its benefits. We're thinking through how we're going to program something while we're designing it, and that turns out to be a great thing. Do you manually copy information between two systems? Not only is copy and pasting data error-prone, it’s costing you time and money. Sometimes, we can build simple tools that interface between two systems, automating this process entirely. Do you have many large, hard to manage spreadsheets that need to be emailed around your team? If you’re overwriting each other, or maintaining formulas in spreadsheets, you may be making errors without even knowing it. Let’s solidify those systems and make them bullet-proof. Collaborate with your team over email? Do you send sensitive information through email? It’s unfortunate, but email is one of the worst team collaboration tools we have – it’s far too easy to forget to copy someone important, time consuming to keep organized, and extremely insecure. We can build or recommend prebuilt systems that let your team collaborate securely. Is your important information at risk because you don’t have a backup strategy? One of the simplest benefits of centralized web software is that your data is backed up, automatically. Always available at any device, at any time, always safe. 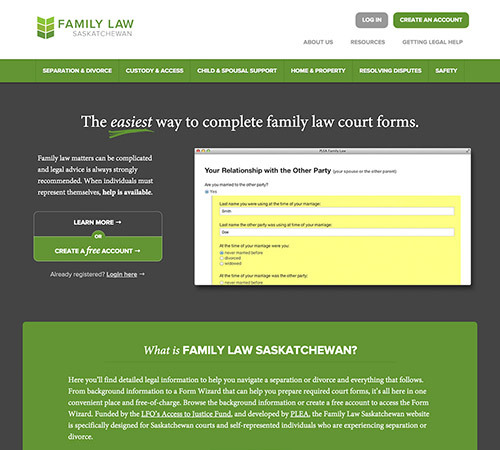 PLEA came to us with an huge idea: make the province’s family law court system accessible. After failing to find a partner willing to take on this massive project, we got referred. 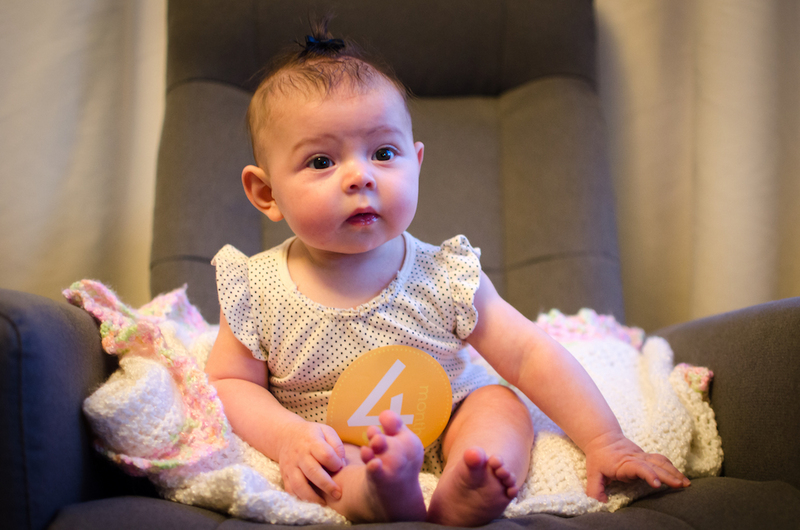 We worked with them to prioritize certain features to be created within their budget, and in the end launched a fantastic project. Now anyone can complete complex court documents by answering sets of simple questions. Customers recieve not only ready-to-file court documents as PDFs, but instructions on how to serve and file them appropriately. 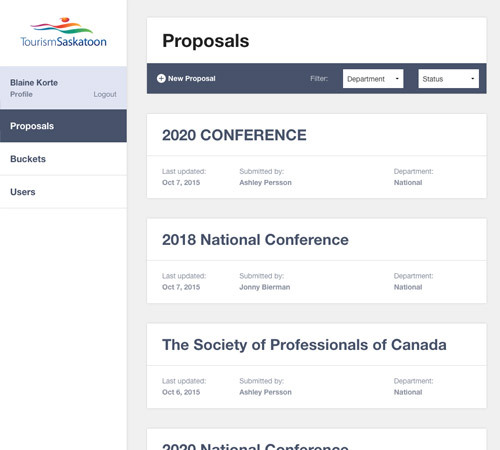 Tourism Saskatoon frequently bids on large conventions, fairs, sports events and wanted to modernize the way they created and presented their bids. After years of failed attempts at finding and creating a tool that would fit their needs, they approached us. This application allows staff to create proposals with a simple, word processing interface and creates a beautiful custom website and PDF for each proposal. 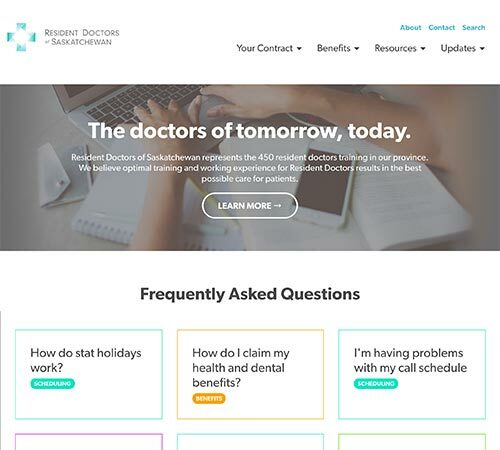 RDoS's website is the central point for resident doctors to find information about their collective bargaining agreement. We took a fresh approach in organizing the information and focussed on simple navigation, a dynamite content editing interface, and stunning design. Woah there. Please fill out the required fields. Written, designed, and coded by hand from scratch. Proofreading by Lucy.